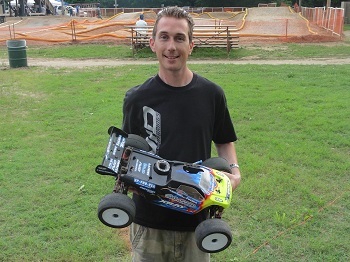 VP Pro driver Josh Wheeler attended the 2011 Byron Midwest Nitro Challenge last weekend at Dirt Burners in St Louis, MO. For the A Main he qualified 2nd behind Team Durango driver Ryan Lutz. In the Main he was able to get past Ryan when he made a mistake on the frist lap and then fought off the competition to take home the win.